Wake Forest is one of six schools to qualify three teams to the National Debate Tournament, which will be held later this month in Dallas. 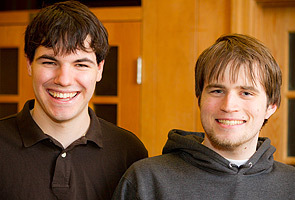 Juniors Michael Carlotti and Andrew McCarty led the way by finishing third at the district tournament on Feb. 27 at Emory University in Atlanta. Sophomores Ian Miller and Ken Bailey qualified by finishing fifth. Schools must wait on the national committee to decide at-large bids, including which six schools can qualify a third team on merit. 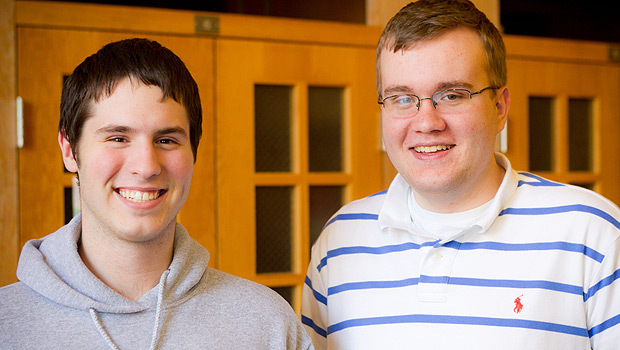 First-year students Richard Min and Kevin Hirn were selected through that process. In addition, Min and Hirn are one of only four first-year teams to qualify. The national tournament will be held March 25-28 at the University of Texas at Dallas. The Deacons are no strangers to the nationals, having placed in the top three in the country four of the last five years, including a national championship in 2008. Last year, Carlotti made the final eight with then-senior Carlos Maza, and Miller and Bailey also qualified as first-year students. Other awards given to the Deacons at the district tournament were: Carlotti was the second overall speaker; Alex Lamballe (’10) was voted Graduate Student of the Year; and Jarrod Atchison (’01, MA ’03), the Wake Forest coach, was voted Best Judge of the Year.